I love the fashion of the 1950’s. The ladylike dresses and skirts, the shoes, the overall polished look. I’ve been dreaming of ladylike dresses and gorgeous hats and elbow gloves for the past week as we have been travelling through the back of beyond. More on this experience in a later post. We’re talking wilderness, people! And not a high heel in sight! This shot is from the book Vintage Fashion by Emma Baxter-Wright. 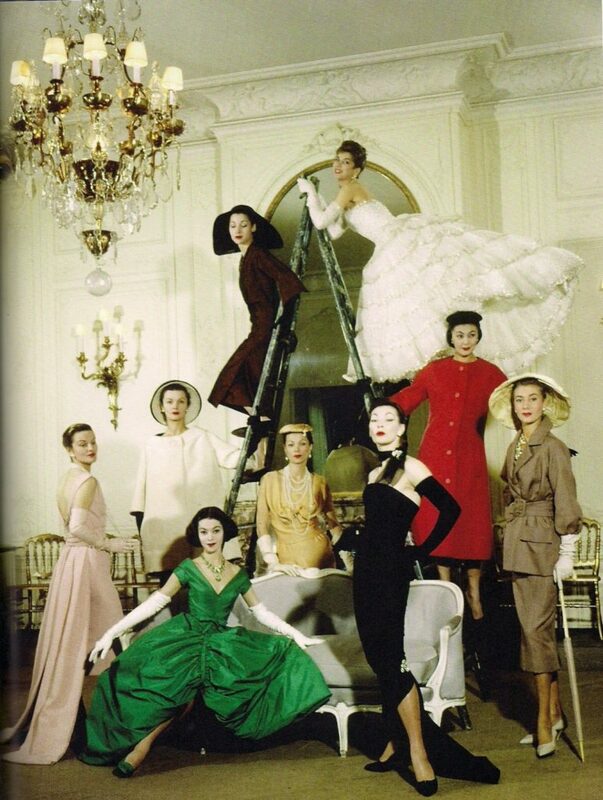 It shows the Christian Dior collection of 1957. 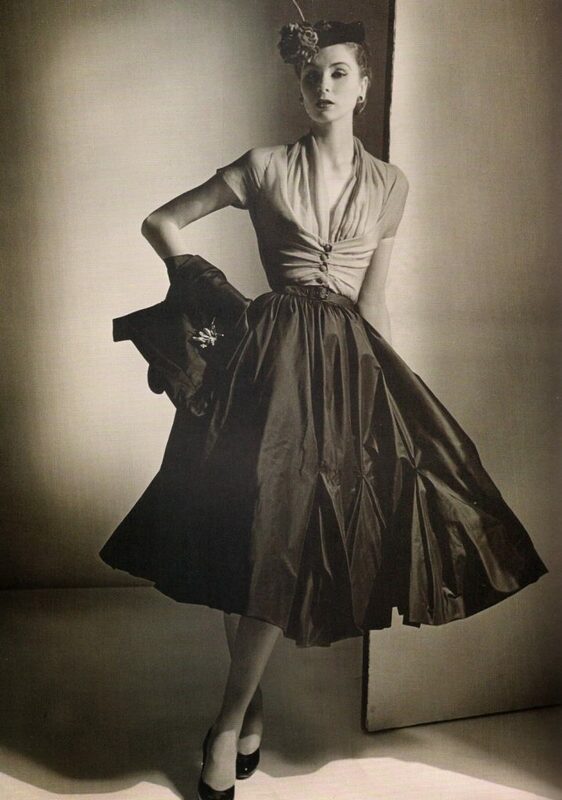 And this is from Dior’s 1952 collection. I love the full skirt. The model below is wearing an outfit by American designer Tom Brigance from 1952. 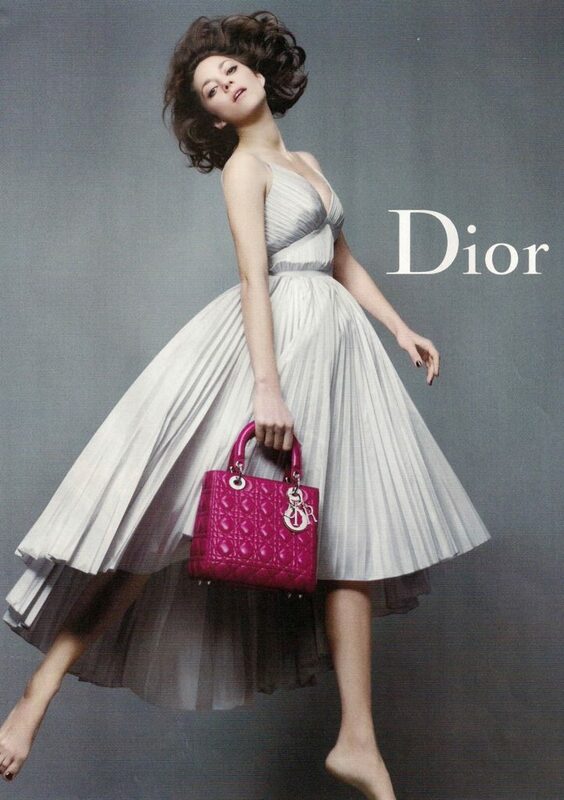 I kept thinking of these images when I was on my exercise bike these past few weeks and looking at pictures from the Dior Spring 2014 advertising campaign in Vogue. And it reminded me of the dresses in some of my favourite 1950’s movies. Like Rear Window from 1954. Grace Kelly looks gorgeous in this. 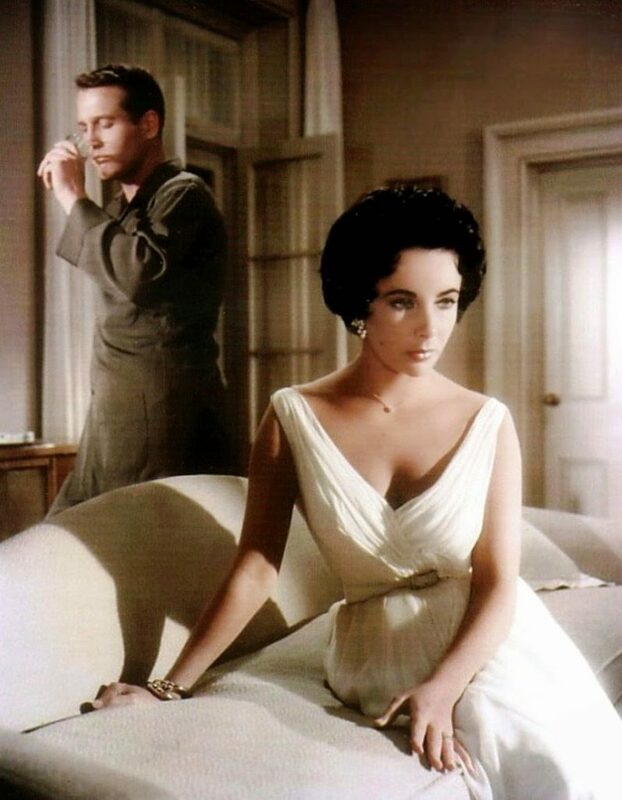 And this dress worn by Elizabeth Taylor in Cat on a Hot Tin Roof, 1958. I love this movie. And the dress. And Paul Newman, of course. You get a better look at the dress in this shot. So full skirts, it seems, were having a moment, in the fifties. And skirts worn with blouses. 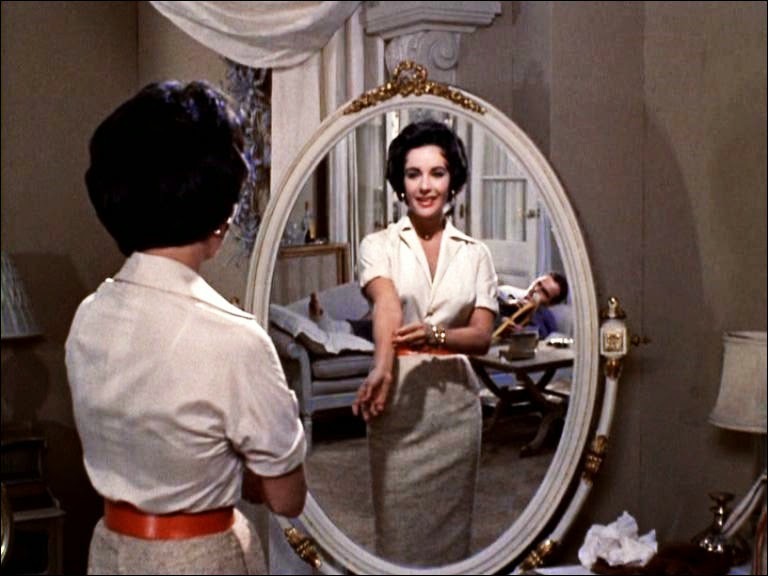 Like this shot, again from Cat on a Hot Tin Roof. Love the rolled up sleeves and the red belt. Especially with the longer skirt. There’s just something so great about the proportions of this outfit. I couldn’t do it…not having anywhere near the “proportions” of Liz Taylor. Pun intended. But we do seem to be seeing the tucked in white shirt this summer. Like in this look from Carolina Herrera in the April issue of Vogue. Mind you the white shirt is almost iconic for Ms. Herrera. And well…the white shirt is just iconic period. I could see me wearing my fifties style full skirt with a little cardigan like this look from Bazaar.com below. I actually own one very like the flowered skirt on the right. Hmmmm. I never thought of trying to wear it with a shirt tucked in. 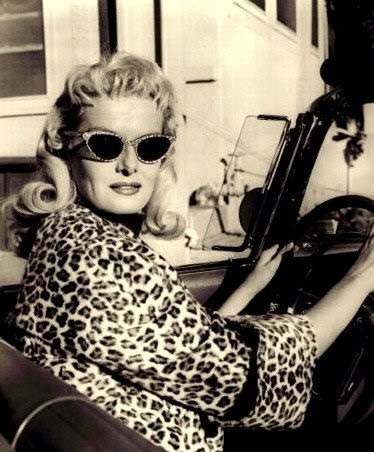 I love this shot from the 1950’s, of Jane Russell in her leopard skin and sassy shades. 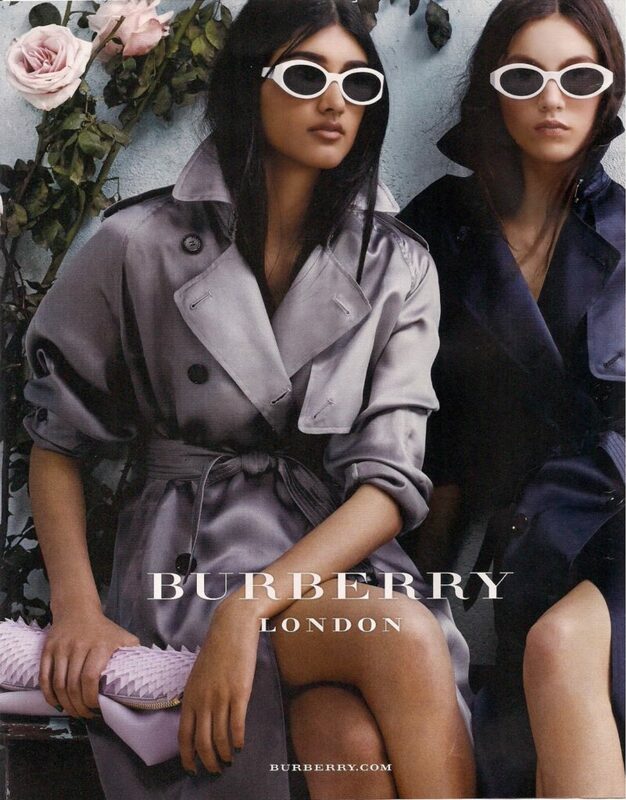 Kind of like these in the Burberry Spring 2014 ad below. And I am looking for a new pair of sunglasses. Nope. Not going there. There are just some looks from the fifties that you can’t carry off when you’re… in your fifties. So that’s me done for now. I’m off to try on my full skirt with a white blouse…and shop for new sunglasses. Oh… and try to decide what to wear out for dinner tonight. It’s our 25th wedding anniversary today. We’re having a casual dinner out tonight. The real anniversary celebration will take place later in the summer. I’ll leave you with the shot below from the July issue of Vogue. A look from Dior for fall. So 1950’s. What do you think of fifties fashion? This week, I’m linking up with the Thursday Blog Hop at Over 50 Feeling 40 and Visible Monday at Not Dead Yet Style. Thanks Rita. So my evil plan is working?! :) Hope you are enjoying being back in Canada! I used to dabble in fifties styles when I was a teen in the eighties. I was, of course, a bit of an oddball. My mum sewed dresses for me using patterns that she had once worn.My favourite is the white dress Elizabeth Taylor is wearing and I had a pink one with a similar silhouette. The dress anyhow. As you say, I do not have E T's silhouette. Now, and maybe it's because I've been there done that, the fifties look doesn't call to me. It's pretty but looks to formal and restrictive for who I am and the life I live. I will admire it in pictures and on other people instead. And the white shirt really doesn't work on me. I avoid collars generally. It looks great on some people but not on me and I think that is in part due to my build and in part my personality. I sure couldn't wear that white dress that Elizabeth Taylor wore…not when I was 20, or 30 and not now. Some of the fifties looks need a tiny waist and fuller hips, I think. So definitely not my silhouette either. But..I do love a white shirt! So much work in this post — I admire and enjoy the way you've pulled movie stills together with images from your Vintage Fashion book and recent issues of Vogue. I do like the fit-and-flare silhouette, and that of the tucked-in blouse, but I have to take care how that works with my very short waist. . . . I know what you mean…I have a short waist as well. My full skirt has no waist band and sits almost on my hips… and that actually works to give the illusion of a waist. Thanks for reading. Our anniversary dinner was delicious and then we came home and watched our taped version of today's stage of the Tour de France. Living the high life! A belated happy anniversary, Susan. I hope you listened to "Stand by Me" at some point in the day! Thanks, Elizabeth. Didn't listen to "Stand By Me" but after dinner we did celebrate the beginning of the "Tour" with a BIG bowl of popcorn. I know, I know…we know how to live it up! 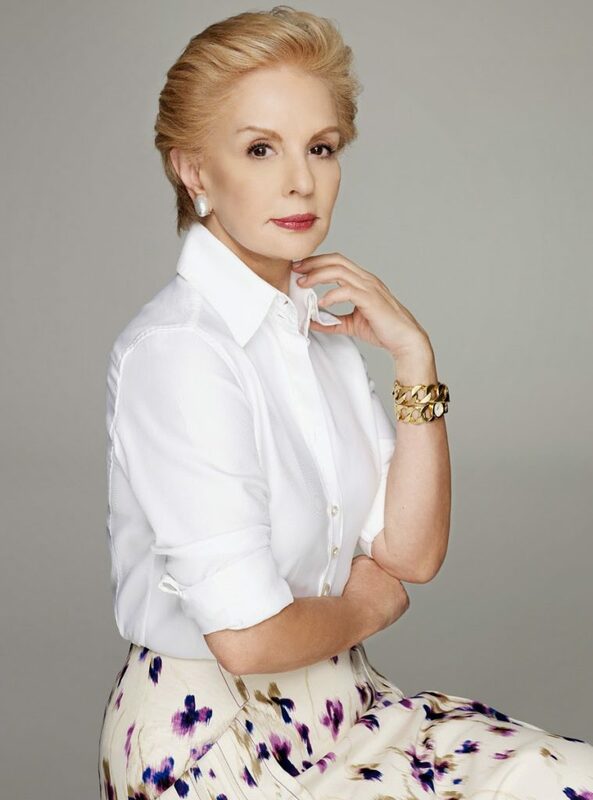 And as for white blouses…maybe instead of "hoarder"…substitute "signature look"..ala Carolina Herrera?! Thanks Katherine. Wish I could wear a dress like the one Liz Taylor wore! Nice website. I grew up in the 50s, sewed three big skirts, wore the crinolines, even one with hoops underneath. It was a wonderful time. In the 60s, became a professional model and worked a couturier show that came to Winnipeg, Manitoba. Nothing like designer clothes. The workmanship is amazing. Lovely photos. Thanks for the post. And I gather you recently celebrated an anniversary. Best to you and your mate! Thanks Diana. I remember crinolines…wow..haven't thought of those for a long time. We found some when we emptied the old cedar chest in my Mum's house. Working at a couturier show must have been exciting. The clothes must have been wonderful! Love the look! I've always loved skirts and blouse but have become a bit lazy about fashion lately. Thank you for the inspiration. 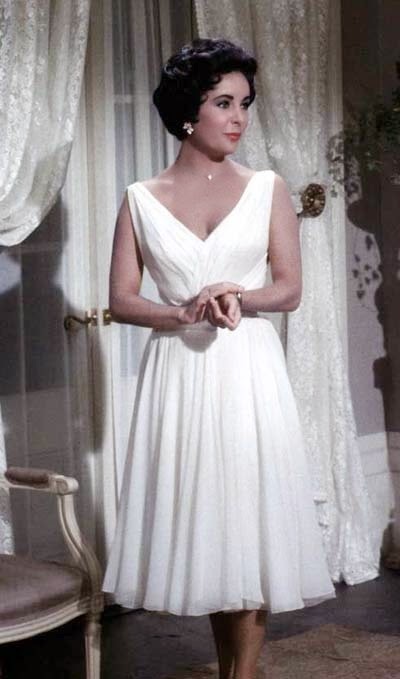 Lovely pictures…I really love the dress from Cat on a Hot Tin Roof! It is so much fun how fashion just cycles around! Thanks for sharing with the Thursday Blog Hop! Me too! Thanks for hosting the Blog Hop. It's always fun. These photos are so gorgeous! I love fifties fashion, so I'm happy that it's an option now without looking severely out of date. Lovely post! Thanks Rebecca. And thanks for reading! Thanks, Bianca. I love vintage, but the clothes never fit me…so I probably love more that you can now buy new vintage-inspired clothes. Ah yes…that "Joker Green" (ala Batman) dress….would sure be noticed if nothing else. Thanks for the anniversary wishes. Lets get together before the summer is out. Full skirts are so pretty and feminine! Grace Kelly's dress is gorgeous. I love The clothes from Rear Window! In fact from all of the movies where Edith Head did the costumes. Count me in as loving a full skirt and fitted top, too. That Dior dress from 1952 is divine. Thanks for sharing with Visible Monday! I knew you would like the 50's skirts. I remember that post you did a few weeks ago with a colourful, patterned full skirt from the 50's. Thanks Cherie. And thanks for reading! Wonderful images, thanks so much for posting them. I love the 50s look , it is so feminine but agree that caution must be taken when you were born in the era. Yep…pedal pushers and scarves in the hair ala Sandra Dee are out. You are so right; vintage looks are to be treated with caution. Happy Anniversary! I love 1950's fashion – one of my favorite fashion decades. I love Dior. Thanks for the fun pictures! Thanks Lana. And thanks for reading. Mmm … I'm with you in your admiration. This spring I made a few retro-shaped midi skirts and am still putting them with more modern shapes up top! Fun. Wish I could make a white button down work … never have been able to love the look on me with a substantial rack and short waist. But it's lovely when it works. You should wear it beautifully with your figure. I like the idea of modern and vintage combined…otherwise it looks like a "costume" I think. Wish I could sew! But I don't have nearly enough patience for that!